February 10, 2019 February 10, 2019 J.C.
Michel Chossudovsky talks to Bonnie Faulkner on Guns and Butter. The report provided detailed estimates of poverty, focussing on nutrition, education, health, housing, employment and income distribution. It also addressed the role of government policy. Venezuela’s oil wealth was not used to build schools and hospitals. The oil surplus was largely recycled into the hands of the oil giants and the local elites. 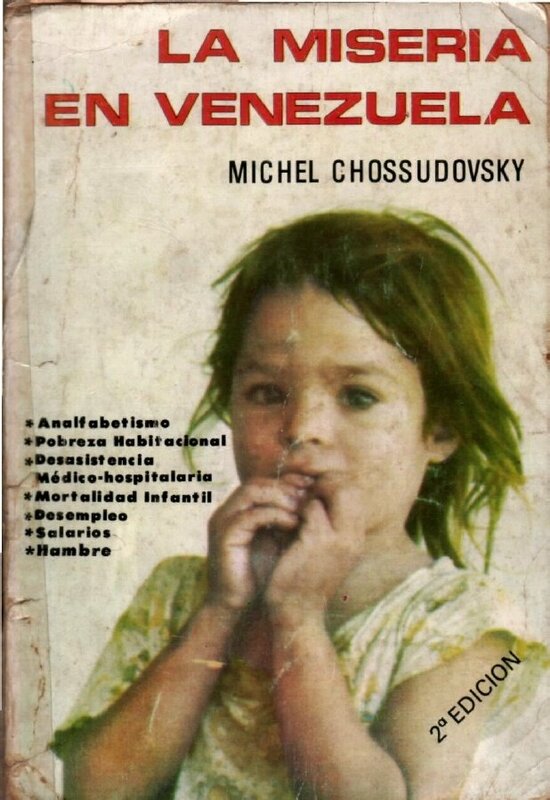 Michel Chossudovsky brought it out as a book in 1978, which created a bombshell. It dispelled the myth of “La Venezuela Millionaria”. Michel Chossudovsky: I think concretely also we understood that poverty was not the result of a scarcity of resources, because this was an oil-producing economy, but all the oil revenues were going into private hands. Of course, the big-oil U.S. was behind it. But what we understood was that it was the governments which were responsible for poverty. I’m Bonnie Faulkner. Today on Guns and Butter, Michel Chossudovsky. Today’s show: Venezuela: From Oil Proxy to the Bolivarian Movement and Sabotage. Michel Chossudovsky is an economist and the Founder, Director and Editor of the Center for Research on Globalization, based in Montreal, Quebec. 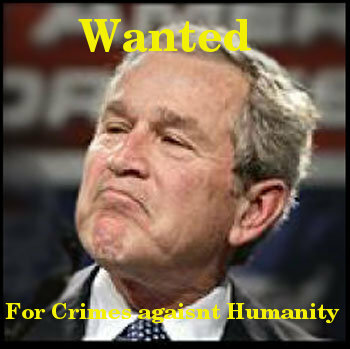 He is the author of 11 books including The Globalization of Poverty and the New World Order, War and Globalization: The Truth Behind September Eleventh and America’s War on Terrorism. Today we discuss the economic and political crisis in Venezuela, its history as an oil proxy nation since the discovery of oil in 1918, through successive dictatorships, the Chavista movement and destabilization, with a special emphasis on Michel Chossudovsky’s personal experience there conducting a study on poverty as Advisor to the Minister of Planning. Bonnie Faulkner: Michel Chossudovsky, welcome. Michel Chossudovsky: I’m delighted again to be on Guns and Butter. Bonnie Faulkner: The president of Venezuela’s National Assembly since February 5th, Juan Guaidó, declared that he has temporarily assumed presidential powers, promising to hold free elections and end Nicolas Maduro’s “dictatorship.” President Trump announced that the U.S. would recognize Juan Guaidó as the legitimate president of Venezuela. According to The Wall Street Journal, Vice President Mike Pence called Guaidó the night before his announcement and pledged that the Trump administration would support him. Trump refused to rule out military action. In your recent article, Regime Change and Speakers of the Legislature: Nancy Pelosi vs. Juan Guaidó, Self-proclaimed President of Venezuela, you intimate that Trump’s declaration might constitute a dangerous precedent for him. Why? That illustrates the ridicule of political discourse but also the shear fantasy of U.S. foreign policy, that they should provide legitimacy to a Speaker of the House because they don’t like the President. Well, I don’t like the president of the United States of America and a lot of people don’t like him, but do we want to have Nancy Pelosi as our interim president? That, in fact, is something which could evolve in the current context of confrontation between President Trump and the Democratic Party, which now controls the U.S. House of Representatives. Bonnie Faulkner: It looks like the Democrats in Congress are also threatening President Maduro. The House Foreign Affairs Committee has tweeted out, “We refuse to recognize the legitimacy of Maduro’s presidency. That’s why members are joining to introduce legislation to support the people of Venezuela and hold the illegitimate president accountable for the crisis he created.” So this is a bipartisan effort to unseat Maduro. Michel Chossudovsky: Precisely. It is a novelty in relation to regime change. We have military coups in Venezuela going back to the early 20th century – a whole bunch of military coups. We have color revolutions, which instigate protest movements. That is already ongoing in Venezuela. Then we have this new formula of intimating that we don’t like the President; have him replaced by the Speaker of the House. And that’s, of course, a very dangerous discourse because, as I mentioned, it could backlash onto President Trump himself. Bonnie Faulkner: Venezuela’s crisis came before the UN Security Council on Saturday, but they took no action because there was no agreement. 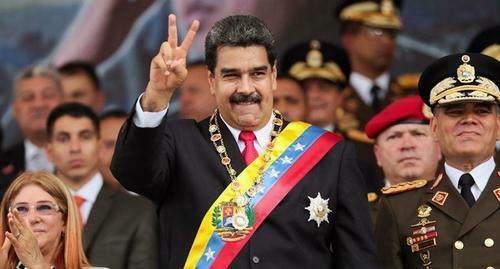 Russia and China backed Maduro but France, Britain, Spain and Germany said they would recognize Juan Guaidó as president unless Venezuela calls a new presidential election within eight days. So here we have European nations demanding that Venezuela hold another election. Did Nicolas Maduro win the presidency of Venezuela democratically or not? 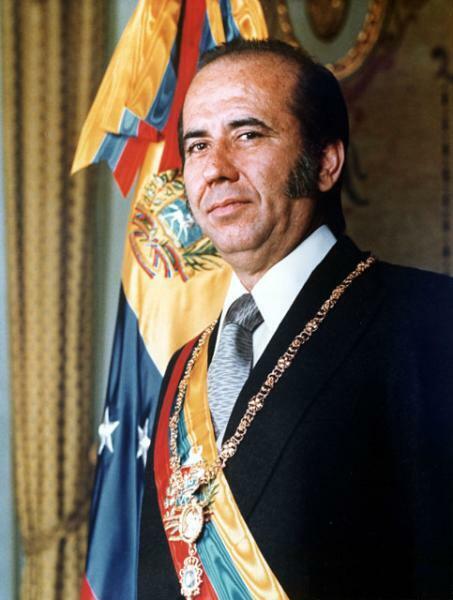 Michel Chossudovsky: He won the presidency of Venezuela democratically with a large majority. Conversely, France’s President Macron also won the presidential election with a rather feeble majority and nobody is questioning Macron’s presidency. Well, in fact, some people are because we have the Yellow Vest movement throughout France. That doesn’t seem to be making the headlines anymore and people are endorsing President Macron. Well, there are several issues. These European leaders don’t have the support of their respective populations. In Venezuela support for President Maduro is divided, but that’s I think something that happens in a large number of countries. It’s not any different. The opposition is controlling the National Assembly but nonetheless, President Maduro gets a majority of support of the Venezuelan population. The fact of the matter is that all these leaders in Europe are, first of all, caving in to U.S. foreign policy; they are essentially behaving as U.S. proxies. At the same time, their behavior and management of the republics that they represent, not including the United Kingdom, which is also in a big mess – well, one might say, how can they get away with this? Under a constitutional democracy, how is it that they could actually support the United States in calling for the Speaker of the National Assembly of Venezuela to become president of the country? It’s an absurd proposition, and that this would then get to the United Nations Security Council is even more absurd. What should get to the United Nations Security Council is the mode of interference in the internal affairs of a sovereign country through the financing of opposition groups, the financing of terrorists and so on who are involved in triggering the protest movement and so on. It’s an evolving situation. It has certain features resembling in fact the Euromaidan in Ukraine. And, of course, the end objective is to unseat the president. Now, he has very strong grassroots support because the Bolivarian Revolution has indeed led to major changes in the country, major achievements, under very contradictory circumstances as well as divisions within the Bolivarian movement. I have been going back and forth to Venezuela for a very long period since I started very early in my career when I became Advisor to the Minister of Planning in the Carlos Andrés Pérez government of the mid-‘70s. I know the country inside-out. It’s a very complex process, and I think people have to understand first of all that Venezuela has the largest oil reserves worldwide – more than Saudi Arabia – both traditional crude as well as tar sands, which are extensive but also very easy to manage and produce compared to those of Canada, for instance. What is at stake there is the battle for oil. Historically, Venezuela has been an oil economy from its inception in 1918 when oil was discovered in the Maracaibo Bay. Then you had a whole series of military dictators. Why Must Venezuela be Destroyed? 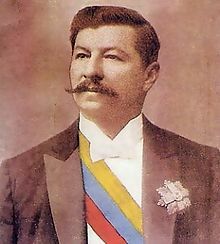 The most prominent was, of course, Juan Vicente Gómez, who was really a proxy of the United States and big oil. So big oil has controlled this country from the early 20th century and it was only in the ‘90s with the Bolivarian Revolution that they actually started to repeal this control of big oil with the government of Chávez, which essentially started to implement some major changes and shifts in the nature of state management, but under very contradictory circumstances, which I guess we’ll be discussing. Bonnie Faulkner: How did you first get involved in Venezuela? Did you first go there in 1975, and under what auspices? Michel Chossudovsky: Actually, one of my close friends when I was studying at the University of Manchester in economics was a person named Gumersindo Rodriguez. Now, Gumersindo Rodriguez was a bit older than I. He was active in the MIR, Movimiento Izquierda Revolucionaria, which was a leftist faction of the Democratic Action Party, Acción Democratica. 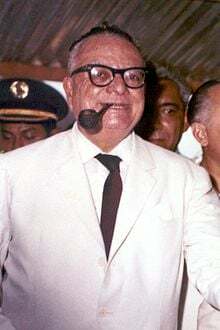 He had close links to one of the prominent presidents, which was Romulo Betancourt, (left) but at the same time he was – to some extent the MIR were considered as renegades. He went off to study in the UK and then when he returned and a new Acción Democratica government was formed he became Minister of Planning. And then he called me up and we met in New York. He said, “Would you like to come down, etc., to Caracas to work for the Planning Ministry as my Advisor?” I accepted and I went down in mid-1975 during the school break at the University of Ottawa. I set up a group of about half-a-dozen people with consultants at the university and so on. I was a young researcher. It was a very challenging project. Very carefully we looked at concepts of what defines the standard of living, in other words, nutrition, education, health, employment, income distribution, the environment, the access to running water, the levels of malnutrition. We defined what was called a minimum family income, and this was supported with very careful analysis at the statistical level. I had a professor in nutrition at the university who advised me on various aspects. This report was done in three months. It was a big push. I had to go back to Ottawa to the university in September where I was teaching economics, so we managed to finish the first draft of the report in a matter of months. We came up with incredible results, that the abysmal levels of poverty, largely basing our analysis on national statistics, the various surveys which were available, household budget surveys, the census data and also the input of a large number of intellectuals and so on. But not so much field work because simply we didn’t really have the time to do that. But we came up with results. I think concretely also we understood that poverty was not the result of a scarcity of resources,because this was an oil-producing economy, but all the oil revenues were going into private hands. Of course, the big-oil U.S. was behind it. But what we understood was that it was the governments which were responsible for poverty because they weren’t recycling the oil revenues to a societal project. They weren’t using the oil revenues to finance education, health and so on, and the levels of unemployment were exceedingly high and so on. Now, this is the background of poverty which prevailed when the Bolivarian Revolution occurred. I should mention that much of our data was based on the 1970s, but the 1980s were far worse, because then you had what was called El Caracazo in 1989, which was a process of economic and social collapse. It was instigated by the IMF. It led to hyperinflation, so it was a sort of classical neo-liberal intervention with strong economic medicine [shock therapy] where the prices of consumer goods went sky high. That happened in 1989. Now, what I think is very important to underscore is that Venezuela in the 1970s and ‘80s was a very poor country with a lot of resources, namely oil, and that oil went into private hands. That was despite the fact that the oil industry was nationalized in 1975. Now, I should mention that when I arrived at the Ministry of Planning in 1975, that coincided more or less with the nationalization of the oil industry. But it was a fake nationalization. Bonnie Faulkner: How do you mean a fake nationalization? Michel Chossudovsky: Well, legally it was nationalization, but it was ultimately understood that the big oil companies were complicit in this nationalization and that they would get all the benefits and so on. And then also when it was nationalized, of course, there were payments to the oil companies. It was implemented by the government of Carlos Andrés Pérez and there was no question of actually saying, “Well, we’ve got the oil; what are we going to do with it?” The pattern of appropriation continued, the corruption within the state apparatus and so on. Ironically, I was asked to draft a text which was to be used for the nationalization speech, which was a very important document, because it defined, what are you doing to do with the oil. Idrafted an analysis of this, essentially saying the following: that the oil revenues would be recycled to a societal project alleviating poverty. It was explained conceptually that the oil money now belongs to the country and not to the oil companies, and consequently this is the avenue that we choose. There was a drafting committee and they contacted me. I knew all these people; they were on the same floor in the Ministry of Planning building. But then the nationalization speech was read and published, and it was simply political rhetoric. It didn’t have any substantive perspective as to how these oil revenues would be used to improve the livelihood of the Venezuelan people, and that is something which Chavez actually formulated many years later. The Bolivarian Revolution said, yes, the oil is going to improve the conditions of the Venezuelan population and particularly the people who are below the poverty line. Now, I should mention and that’s so important, we undertook an estimate of undernourishment, people who do not meet minimum calorie requirements, and we arrived at figures in excess of 70% of the Venezuelan population. That was part of the report which I submitted to the government at the time. I contacted my friend [medical doctor] at the university who specialized in nutrition and said, “This seems to be horrendously high.” His response, “No. You’re absolutely on. Your estimates are on the whole conservative.” He had focused also on the impacts on child malnutrition and so on. We had estimates of that as well from secondary sources. That was the picture which existed in the mid-70s in Venezuela, an exceedingly poor country with tremendous wealth. That tremendous wealth, of course, was being appropriated and the elites in Venezuela were, of course, complicit in the role of the oil companies and the United States. The Rockefellers were involved. I knew about this because I was also very close to the Minister of Planning. Now, what happened to our report? That’s very important. We submitted the report. I went back to Canada and my colleagues submitted the report to the minister. In fact, what happened is the moment I had instructed my colleague to have copies made of the report and to circulate this report within the ministries. Immediately upon having the photocopied 20 or 30 copies of the report the driver of the Minister of Planning – he [the Minister] was a very powerful figure – came in and confiscated everything. They confiscated everything. Then the team was dismissed and then when I returned to Caracas in early ’76 I still had an office but I was all by myself and, in fact, I had absolutely no functions or activities assigned to me. My team had been dispersed. They were still there, we still spoke, but we were not working as a team anymore. The reasons they didn’t want it wasn’t the figures on poverty; it was how we analyzed the role of the state. Mind you, we have the same thing in the United States of America. The state creates poverty. Why? Because it spends more than $700 billion on so-called defense. So we have that logic, but it was very clear that that kind of analysis could not go public. It couldn’t go public. 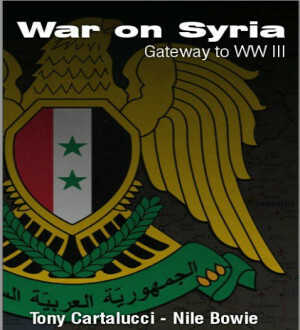 It was only a couple of years later that I took the report and I brought it out as a book. It was published in 1978 and it became an immediate best seller. The first edition was sold out in nine days. It was adopted at the colleges and universities and high schools across Venezuela because it broke a myth. It broke the myth of what they call La Venezuela Miliónaria, that this was a rich country, sort of the Latin Saudi Arabia so to speak. But the social realities were otherwise. Now when we look at what is happening in Venezuela today and where the U.S. policymakers say, “We want to come to the rescue of the people who have been impoverished,” this is a nonsensical statement. 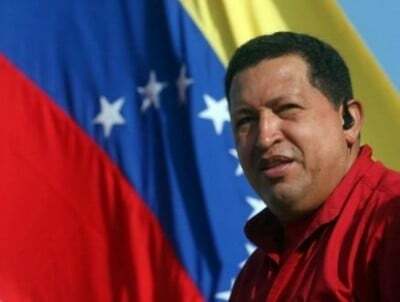 The history of Venezuela was a history of poverty right until Chavez becamec president. They retained that level of poverty and exclusion. Not to say that there aren’t very serious contradictions within the Bolivarian movement; that’s another issue. I think that we have to assess what Venezuela was historically, starting with the dictatorships throughout – the last dictatorship was repealed in 1958. 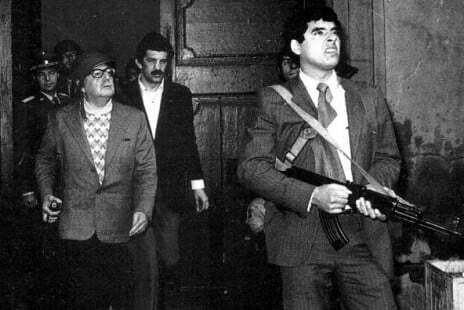 That was the dictatorship of Pérez Jiménez (left). But then you have a sort of bipartisan framework between what was called Acción Democratica, Democratic Action, and Copei, which were the Christian Democrats. It was a bipartisan structure very similar to that of the United States, going from one to the other and largely serving the interests of the elites rather than the broader population. Bonnie Faulkner: You have said that Venezuela in 1918, basically, when oil was discovered, it became an oil colony. What was Venezuela like before oil was discovered? Do you have any idea? Michel Chossudovsky: It was essentially an agrarian society, which was dominated by landlords. There were regional powers. What in Latin America are called los caudillos. In other words, these were essentially landlords and leaders in various regions of Venezuela, and it was largely an agrarian society producing coffee and cacao. In fact, they would say, if somebody becomes a big landlord or a Caudillo, they would call him a Gran Cacao, which indicated that cacao (cocoa) was a – you could say that Venezuela was a cash crop economy, exporting coffee and cocoa to the Western markets, very similar to what we have in Central America, for instance. Of course, it still had the legacy of Simon Bolivar in Caracas, an urban society which goes back to the Spanish colony, but it didn’t really have any particular momentum in terms of wealth formation until the emergence of oil in 1918. That is when U.S. big oil became involved in Venezuela, and it was essentially an oil colony of the United States, and a very important oil colony of the United States due to geography as well, because it’s not in the Middle East; it’s right there, very close to the United States. So that was really ultimately the transition and that’s where, first of all, we saw more of the centralization of political power within the country and the development of an elite which were serving the interests of the oil companies. Bonnie Faulkner: But then even before oil was discovered in 1918, Venezuela was still controlled by the elites. Was there crushing poverty then, as well? Michel Chossudovsky: Well, there was certainly crushing poverty during that period, but what I’m suggesting there is that that crushing poverty was not alleviated with the discovery of oil. What happened is that the discovery of oil first of all created conditions of displacement of the agrarian economy. Agricultural production started to decline dramatically, and oil became essentially the sole industry in the country. There has been, or there was during the Bolivarian period under Chavez, concern that the rural economy had been more or less abandoned, and that was also the consequences of big oil. Bonnie Faulkner: So then in 1992, Hugo Chavéz stages a coup d’état. Could you talk about Venezuela under Hugo Chavéz? Now, you’ve met him personally, haven’t you? Michel Chossudovsky: Yes, I met him personally, rather briefly, when I attended the sessions of the Latin American Parliament. I think what was striking was that, first of all, he acknowledged the report which was published as a book entitled in Spanish, La Miseria en Venezuela, and he also intimated he would like me to get involved in an update of that – well, it wouldn’t be an update – a contemporary review of poverty, so that we could actually compare poverty in the 1970s to poverty in the early 2000s. That proposal was discussed but it never really got off the ground. Had I been involved in doing a new poverty analysis, it would, of course, have been done in a very, very different way to what we did in the 1970s. But I still think that the analysis has to be made. The historical levels of poverty are there, and I had the opportunity of undertaking the study and releasing that information to the broader public in Venezuela. As I mentioned, that destroyed a myth, the narrative that Venezuela in relation to other countries in Latin America was a rich country. It wasn’t a rich country. It was a country with tremendous wealth and a poor population with serious social divisions and high levels of inequality. 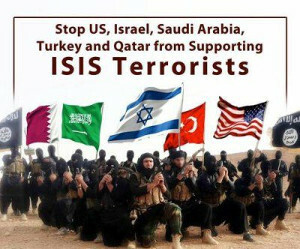 That is what U.S. Foreign policy wants to restore. They want to restore Venezuela as a subordinate country with a poor population and elites that are aligned with the United States. That is the nature of the crisis which is ongoing today in Venezuela. Bonnie Faulkner: Well, now, how would you assess the effect that Hugo Chavéz and his government had on Venezuela? Michel Chossudovsky: This is a very complex process, because when Chavéz arrived to power initially, his first presidency was in 1999, and he became President in 1999 and then he continued again in 2007 until his death in 2013. The nature of the Venezuelan state apparatus was such that it was very difficult to start implementing reforms within the state apparatus. I knew that from the very beginning when I put together the team of people. I had a representative from the Ministry of Health and it turned out that she was sustaining essentially an elitist vision of health, and eventually I asked her to withdraw from the research group. What Hugo Chavéz inherited was a structure of government which was very much still centered on the previous periods and required tremendous reform. You couldn’t simply go in and start instructing the officials to do this and that. There had to be a major reform of the state apparatus. Now, what he did instead was to create projects which were parallel to the state system. Those were called the Misiones. They had also sort of grassroots. So there was a gradual process of reform of the state apparatus and at the same time there were activities which were grassroots which took place outside the realm let’s say of ministerial politics. They were geared towards literacy, education, health. They had tremendous support also from the Cuban doctors. In some regards, these were very successful undertakings. I should mention from my own understanding is that there were serious divisions within the Bolivarian movement and I think also mistakes from the point of view as far as Chavez is concerned. From my standpoint, one of the biggest mistakes was to have, at an earlier period created, a United Socialist Party rather than a coalition. In other words, the intent of Chavéz was to create a political party which would be the United Socialist Party of Venezuela, of which he was also the leader, rather than create a coalition of parties which would gather different segments of Venezuelan society. So the thing became very polarized. I should say there were divisions within the Chavista movement. There was also corruption within the Chavista movement. It was very difficult for the state to disassociate itself with the Venezuelan lobby groups, which were the rich families of Venezuela. But nonetheless, the results of this process were historically significant because first of all, the oil industry was already nationalized – well, it was nationalized by Carlos Andrés Pérez – but it was never really applied as a national process. And what Chavéz did was essentially to render this nationalization of petroleum as an active and key component in the recycling of revenue into the financing of social projects rather than into private hands. And that, of course, was ongoing. And the country had the resources to undertake these projects. So that is the background. I should mention that – and that’s a separate issue – that there were already attempts to destabilize Chavéz from the presidency right from the outset, and it came as a result of the National Endowment for Democracy and its various actions in Venezuela in support of so-called opposition groups. I recall, again, and I should mention it, that in the 2012 elections, which Chavéz won, there was an attempt by various foundations, the NED but also Germany’s Hanns Seidel Foundation to support the opposition candidate. So there was direct interference in the electoral process. Bonnie Faulkner: Were you saying that one of the ways that Hugo Chavéz tried to implement reform was not through reforming the government itself, but by creating a sort of a parallel structure. Is that what you were saying? Michel Chossudovsky: Yes, that was certainly what occurred. Reforms were taking place within the state apparatus and the parallel structures were also there, and they were eventually linked up. But at the outset it was very difficult for the new government to come in and introduce major reforms in the state apparatus. They then had a process of constitutional reform, which Chavéz implemented, and they created a constitutional assembly, which was the object of controversy. We’re dealing with a very complex process, because throughout his presidency up to his death there were conspiracies to destabilize the government, and there were people within the government who were playing a dirty game. I think that was clear. In fact, even to some extent Chavéz let that happen. There were contracts allocated with the Ministry of Public Works and so on. There were various cases of corruption within the Bolivarian government and there were serious problems regarding the structure of the state apparatus. But it’s not to say that this was not known. But at the same time there was a grassroots movement. There was a process of democratization at the grassroots. I think that what was achieved was remarkable within a relatively short period of time. The historical levels of poverty were alleviated. Bonnie Faulkner: It sounds like corruption played a very big part in Venezuela before Hugo Chavéz’s coup d’état and after his coup d’état when he got in charge. Many people are claiming that Venezuela’s economic collapse presently is linked to its socialist policies. What are Venezuela’s socialist policies and what do you make of this claim? Michel Chossudovsky: I think that’s a little bit of a misnomer because, first of all, Venezuela was not a socialist economy. It was essentially a capitalist economy. 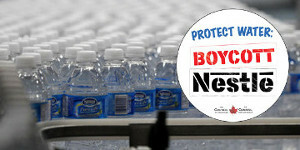 What happened is that the government nationalized certain key industries. It created what were called the Communal Councils, it had the Misiones, which were largely focusing on issues of housing, healthcare and so on, but the economy was essentially a capitalist economy, a market economy. If you go to Caracas you see it. I think there was a socialist process which had been implemented but by no means was this a full-fledged socialist economy. I think if we compare it to other Latin American countries, Venezuela in a sense would divorce itself from the so-called Washington consensus, namely the economic and social policies imposed by the Bretton Woods Institutions, e.g., World Bank, International Monetary Fund. It had its own structure for participatory democracy which were in some regards quite successful, particularly the Misiones. In fact, the failures that we’re now seeing, rising consumer prices, hyperinflation, those are engineered. They’re engineered by manipulations of the foreign exchange market.We know this kind of mechanism because it’s what characterized the last months of the Chilean government of Salvador Allende in 1973 (left), where persistently the national currency was under attack leading to hyperinflation and so on and so forth. We might say that it’s part of the IMF, World Bank, Federal Reserve “remedy,” or action. It’s very easy for Wall Street to destabilize currencies. It’s been applied in many, many countries. I recall when I was in Peru in the early ‘90s when President Alberto Fujimori came to power that in a single day the price of fuel went up 30 times, and that was following the IMF measures. Well, in the case of Venezuela, the manipulation is ongoing. The exchange rate is manipulated, and it is triggering poverty. There’s no question about it, that these acts of sabotage and financial warfare are creating abysmal poverty. But that was not the result of a government policy; it was the result of intervention in the currency markets by speculators, and this is something which is well known and understood. If you want to destroy a country, you destroy its currency. I should mention that I’ve had meetings with people at the Central Bank – not recently, but when I went to Venezuela some seven or eight years ago, I had those meetings at the Central Bank. The Central Bank of Venezuela did not really implement significant changes in the management of monetary policy which would avert this kind of action. But what I can say quite rightly is that if there’s poverty today in Venezuela it is not due to the Bolivarian Revolution; it is due to the fact that there are measures of sabotage and financial warfare which have been introduced with the view to undermining the Bolivarian missions in health, housing and so on simply by manipulating the currency markets, and that generates hyperinflation. Bonnie Faulkner: How exactly does Wall Street attack a nation’s currency? What about the currency in Venezuela? Is it what you have referred to as a dollarized economy or not? Michel Chossudovsky: I think it is a dollarized economy. That even prevailed before Chavez arrived to power. In other words, there’s a dual currency system. There’s the bolivar on the one hand, the national currency, and the dollar, and there’s a black market. And when there’s a black market which is unregulated – they never really manage to regulate the black market – when it’s unregulated well that’s what happens. People save in dollars because the national currency is very unstable and so on. I think there were failures on the part of the Central Bank of Venezuela to ultimately come to terms with this issue. One of the reasons for that is that many of the people who were there, whom I knew, were of the old guard. They’re trained in monetary policy and macroeconomics and there was a need for some very careful reforms within the monetary system and mechanisms to protect the currency. That was fundamental. Now, there’s also another element which played a role and that was the collapse of the oil market. That’s clear. The fact that the oil prices are exceedingly low backlashes on oil-producing countries, but that also affected other countries. Bonnie Faulkner: And that oil collapse was manipulated, correct? Michel Chossudovsky: The oil market collapse was manipulated, yes. I think the oil collapse was manipulated. There are mechanisms – I don’t want to get into that because it’s rather technical – but there are mechanisms of pushing prices of commodities up or down through speculative actions on the commodity exchanges. It’s well known and understood. There are ways of pushing currencies up and down through speculative actions. We know that from the 1997 Asian crisis, how the South Korean won collapsed. Those mechanisms are there. In economic jargon we call that naked short selling. When you introduce a naked short selling operation against a currency, it collapses, but there are ways for governments to actually avoid this short selling of their currencies. They have to regulate the currency market and unfortunately, in Venezuela that did not take place. Some proposals were put forth but they were never effective in protecting the currency. Bonnie Faulkner: I’ve read that Venezuela is in debt to the tune of 60 billion. Does that debt have to be repaid in dollars? Michel Chossudovsky: I presume that is a dollar debt, yes. It’s an external debt. Bonnie Faulkner: How would they earn the dollars – by selling the oil? Michel Chossudovsky: They’d sell the oil. I remind you that 60 billion dollars of external debt is not unduly high when you have oil revenues, but I expect that that debt was also accumulated with the collapse of the oil market. But, of course, yes, there are debt servicing obligations to repay that debt – of course, if there are problems of debt repayment then the creditors can implement measures which are detrimental to the Venezuelan economy and they’re doing it. There are a whole series of acts of sabotage. Just recently we see that the Bank of England has said, no, you can’t repatriate the gold that you’ve deposited in the Bank of England. They had gold deposited in the Bank of England which belongs to Venezuela and the response of the Bank of England said no, you can’t have it back. That’s another act of sabotage. Bonnie Faulkner: It looks like Citgo, Venezuela’s main foreign energy asset, could be a target of the overthrow of Maduro, with the money from oil exports being sent to Guaidó instead of the Maduro government. I read that John Bolton was setting that out as a priority. Michel Chossudovsky: Yeah, well, this is something which could have devastating consequences. But I don’t see it. First of all, there are institutional mechanisms as to how Guaidó would actually take control of these revenues. He’s not a government; he’s an individual. But what I think that what they’re doing now is to engineer mechanisms which will further destabilize the Venezuelan economy and also trigger some form of regime change. Now, there’s another thing I’d like to mention, which I think is very important. What has been the response to this crisis? I saw recently a statement by a number of progressive authors and it essentially says that there should be mediation or negotiation between both sides. I think that that is something which is rather much misunderstood. There cannot be mediation between the government of Venezuela and a proxy for U.S. intelligence, which is Guaidó. In other words, what is being proposed is essentially to have a negotiated settlement between both sides, between the interim president, Juan Guaidó and the President of Venezuela, Maduro. In fact, Maduro has fallen for that proposal and has had I think some discussions with Guaidó or said he’s open to having conversations with him. I think it should be obvious that this proposal is redundant and contradictory, because the leader of the National Assembly Juan Guaidó is a U.S. proxy. 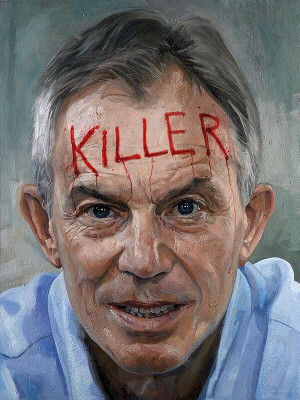 He’s an instrument of a foreign government who will then be negotiating on behalf of Washington. Now, there’s always been negotiations within the Bolivarian process with opposition groups. They’ve always negotiated and discussed. But here, we’re dealing with something which is quite specific. You can’t negotiate with Juan Guaidó. He’s a U.S. proxy. And you can’t negotiate with the U.S. government. Well, there are internal divisions within Venezuela, but the President of Venezuela cannot negotiate with individuals who are committed to overthrowing the constitutionally elected President and replacing him with the Speaker of the House. I think in Western countries we have to certainly take a stance and simply reject this opening by our governments, which are supporting the Speaker of the House and portraying him as an interim president of Venezuela. That’s the stance that we have to take. There are certainly avenues of debate and negotiation within Venezuela, but it is very difficult for that to occur with a country which is under attack, which is the result of sabotage, financial warfare in the currency markets, threats to confiscate the revenues occurring from their oil exports, freezing the gold reserves in the Bank of England or freezing the accounts of assets overseas and so on. That is what has to stop and then there may be a period of transition where the country can restore its activities of normal government. Bonnie Faulkner: Michel Chossudovsky, thank you. Michel Chossudovsky: Thank you. Delighted to be on the program. Our thoughts today are with the people of Venezuela. I’ve been speaking with Michel Chossudovsky. Today’s show has been: Venezuela: From Oil Proxy to the Bolivarian Movement and Sabotage. Professor Michel Chossudovsky is the Founder, Director and Editor of the Center for Research on Globalization, based in Montreal, Quebec. The Global Research website, globalresearch.ca, publishes news articles, commentary, background research and analysis. 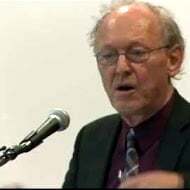 Michel Chossudovsky is the author of eleven books including The Globalization of Poverty and the New World Order and War and Globalization: The Truth Behind September Eleventh. Visit globalresearch.ca. Guns and Butter is produced by Bonnie Faulkner, Yarrow Mahko and Tony Rango. Visit us at gunsandbutter.org to listen to past programs, comment on shows, or join our email list to receive our newsletter that includes recent shows and updates. Email us at faulkner@gunsandbutter.org.